Earlier there was only a limited demand for glass bottles and jars since most goods were sold in bulk in containers like barrels, pottery jugs, wooden boxes, burlap sacks, etc. Moreover, earlier people lived off the land and had limited need for glass bottles; they also lacked the resources to pay for such luxuries. As a result, the incentive to develop varying closures was limited as basic containers sufficed the need to store virtually all of the products of the time. The use of bottles - and the need for varied closures to seal them - arose with an expanding city based market and even then for just a few types of bottled goods - primarily liquor, wine, oil, and patent medicines, etc. The closure is an important part of any bottle. Not only are closures functional – providing the necessary seal to protect the quality of your product – they are also key design elements that can greatly affect the look and style of your bottle. There are many kinds of closures like – Glass Bottle Closures, Liquor Bottle Closures, Olive Oil Closure, Aluminium Ropp Closures etc. These types of closures are basically sold as commodities and are a good choice for the cost-conscious. Moreover, a custom designed closure, while more expensive, helps set your bottle apart and give it added value. 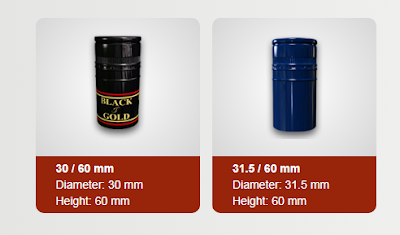 With enriched industrial experience, Nipra have been able to offer a wide spectrum of spirit bottle closures. Nipra is among the most distinguished organizations engaged in manufacturing, supplying and exporting aluminium ropp caps. Available in various specifications as well as in customized range, these aluminium ropp caps are manufactured in compliance with the established guidelines of the industry. The professionals working team at Nipra utilizes optimum quality material and advanced modern machines to manufacture these aluminium pilfer proof caps. The wine capsule—that foil sleeve on the top of a wine bottle—is decorative and doesn’t affect the quality of the wine inside. Their main purpose is to keep rodents or insects away from harming the bottle while the wine is stored for long periods. These days wine capsules are just part of a wine’s packaging, so if the bottles you ordered were supposed to have capsules but are missing them, then you might want to contact the winery in that case. This, in turn, would also definitely affect the wine’s resale value. A few years ago, about 90% of all wine bottles produced in the world were sealed with natural cork. Today, thanks to aluminium - more and more winemakers are shifting their focus to aluminium capsules for wine bottles so that it reduces their risk of product spoilage and ensures that their name on a wine bottle stands the test of time as well as their rich heritage. Your bottle package isn't complete without the right cap or closure, and Nipra offers them in varieties to meet your exact needs. Learn why you need to consider Nipra for your cap or closure solutions. As per studies, olive oil ranks first among the most commonly adulterated ingredients, followed by milk, honey, saffron, orange juice, coffee and apple juice. Hence the right bottle closure becomes an important aspect while storing olive oil in bottles, because of the negative impact that oxygen has on olive oil quality and flavour. Nipra has contributed to making the consumption of this valuable product (olive oil) safer, by producing authentic olive oil bottle caps. The closures guarantee the quality of the container from counterfeiting. At Nipra a wide variety of olive oil bottle caps are available to you. The closures in this application are available for different pack sizes. For large packs, the functional option is an 'easy-pour insert' for better customer experience.